Gay friendly hotels are popping up everywhere, which is fantastic news for the LGBT community. But what can you expect from a gay friendly hotel? Well, here are five of them. If you've ever wanted to go to Berlin, and wondered what the best times to visit this beautiful city, we've compiled a list (worst-to-best) that can help you decide. A fusion of Western and Eastern German cultures over the last century culminating with the fall of the Berlin Wall has resulted in a wide variety of delicious traditional German foods catering for all tastes. Authentic German street food mingled with tall, dark market halls coupled with hipster cafes or high quality restaurants give a tempting selection of savory and spicy dishes in the heart of Germany. Since the fall of the Berlin Wall in 1989, tourism has exploded on this hipster scene providing delights for visitors ready to explore the secretive world in this unified capital. Most of the attractions to see and do are found along the length of the iconic Berlin Wall and in historic East Berlin. From grand boulevards bankrolled by Prussian royals to exuberant parties in canalside bars - a Berlin city break reveals thrilling extremes. Book a Berlin hotel to discover a shape-shifting city that mirrors the past and passionately embraces the future. Whether you fancy boutique shopping or palaces and parks, choose where to stay in Berlin wisely to get the most from your break. Use this guide to the city's key neighborhoods to find the right Berlin hotel. Save euros and slip under the city's skin with this guide to free Berlin. 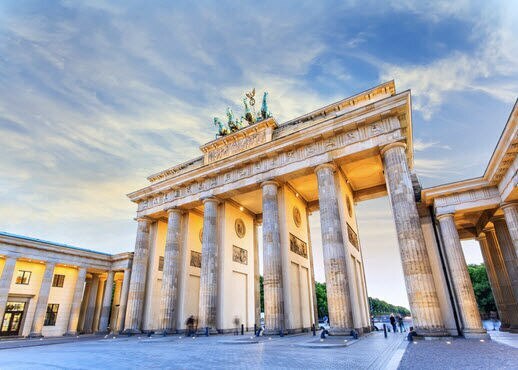 Choose a central Berlin hotel for early morning views from the Reichstag's dome, provocative art at the East Side Gallery and bear encounters in Köllnischer Park that won't cost a single cent. A summer holiday in Cologne means open-deck boat rides on the Rhine, cycle tours past Romanesque churches and a glass of Kölsch lager in a beer garden. Book a summer hotel in Cologne and see the city when it’s at its liveliest. Full of glamor and grit, Berlin will captivate anyone in love with history, art, architecture, restaurants and nightlife. This multifaceted city has evolved into a vibrant and relaxed destination, where people come to unwind in the parks, party in the clubs or explore the city’s history. Reinventing itself with the fall of the Berlin Wall this laid back city has broad appeal; snack on a Currywurst before watching an opera or dance the night away by the River Spree. A short break in Hamburg is a great way to get the best out of this lively city. Book a Hamburg hotel and get inspired with this two-day itinerary as your guide. A summer holiday in Hamburg means paddling the scenic lake, beachside barbecues, and cycling trips into the city’s lush surroundings. Book a summer hotel in Hamburg and see the city in its favourite season. A Frankfurt city break takes visitors behind the city’s glitzy skyline. Narrow streets wind past half-timbered buildings in the centre to the Main River embankment and its procession of world-class museums. Book a Frankfurt hotel to combine the old world of quaint taverns with a taste of the city’s cutting-edge nightlife. A Düsseldorf city break takes visitors from the relaxed Rhine embankment to jovial brewery taverns, glamorous shopping malls, and a vibrant art scene. Book a Düsseldorf hotel and discover a creative city with an easy-going lust for life. Experiencing Germany’s biggest port is only the beginning of a Hamburg city break. The maritime-flavoured city takes visitors from its 19th-century brick storehouses to the relaxed lakeside promenades surrounding its inner-city lakes. Book a Hamburg hotel and dine in traditional fish restaurants before exploring the city’s playful side at night. A Cologne city break takes visitors from the towering Gothic spires of its famed cathedral to the city’s procession of sweeping green spaces. Book a Cologne hotel to experience the city’s open-minded spirit and sample its hearty Rhineland cuisine or a glass of Kölsch beer in its medieval-flavoured historic quarter. Summer holidays in Berlin are all about morning markets and afternoons spent lazing in beer gardens or drifting along the River Spree. Book a Berlin hotel to discover the city at its hottest as it slides into summer. Boisterous beer halls, Alpine panoramas, and gleaming BMWs all come as standard on a Munich city break. But book a Munich hotel and you'll also discover a city with an upbeat after-dark scene, a rich cultural heritage and a love of outdoor living. Depending on the type of holiday you are in Berlin for, whether cultural or partying, hotels in this city have everything to enhance your stay. For purely sightseeing, it is recommended that you stay in the central and slightly eastern areas of Berlin. For extreme partying, Berlin is known for its hipster beatnik vibes or heavy electronic moods, Kreuzburg or Friedrichstain are the places to be. Berlin is known as one of the top gay destinations in Europe and many gay friendly hotels can be found around Schoneberg. Berlin is a paradise for shoppers of every budget. Traditional and new department stores scatter the central and suburban districts along with resplendent luxury designer shops, shopping malls, handicrafts, flea and antique markets and many bargain stores. What a shopper may be looking for, will definitely find their wares in the capital of Germany. There’s not a better sight than a vintage store selling DDR products next to an expensive boutique. From boat rides on the river Rhine to a cold Kölsch in a beer garden, Cologne likes to play outside. Book a Cologne hotel and explore one of Germany’s greenest cities with this guide to outdoor Cologne. Get ready to party at the top 10 festivals in the world. Whether you want to raise a stein at Oktoberfest or sway to samba in Rio, this guide will help you pick the right hotel. Outdoor Munich can be as active or relaxed as you choose – from lazy days in beer gardens to abseiling the Olympic Stadium. Book a Munich hotel to discover this city’s Alpine views, sprawling parks and love of outdoor living. Posh arcades and family-friendly malls, young designers and fresh fish from the market – Hamburg covers all shopping bases. Make the most of it with this guide to the best of Hamburg shopping. Whether you’re seeking an adrenalin-pumping Alpine climb or a gentle spin along dramatic coastlines, this guide to the top 10 bike rides in the world will help you choose a two-wheel adventure and book the right hotel. Oompah-pah singalongs at beer festivals, languid strolls in golden parks and treasure hunts in royal galleries are all part of autumn breaks in Munich. Book an autumn hotel in Munich to discover this spirited city as it braces itself for Germany’s biggest party. Berliners skidding across snowy Potsdamer Platz, carols ringing out from baroque churches and Christmas markets full of twinkling cheer are what winter breaks in Berlin are all about. Book a Berlin hotel and wrap up warm to see the city at its wintry best. Choosing where to stay in Hamburg means getting to know the character of its distinct and diverse areas. Book the best Hamburg hotel for you using this guide to the city’s neighborhoods. Choosing where to stay in Cologne is key to getting the most out of the city and the surrounding area. Book the right Cologne hotel using this guide to the city’s neighborhoods. Grand palaces, Alpine views, and merry beer halls filled with oompah-pah music await on short breaks in Munich. Get the most out of your few nights in a Munich hotel by following this itinerary. Use this guide to Munich’s neighborhoods to choose the right Munich hotel. Whether you plan to tour world-class museums or party in beer halls, deciding where to stay in Munich will help you make the most of your visit. Romantic boutique retreats, Art Nouveau townhouses and design-driven suites - pick a hotel to suit your style with this guide to the top 10 hotels in Berlin. Villa hotels, spa retreats or a romantic room overlooking the Alster Lake - pick a hotel to suit your style with this guide to the top 10 hotels in Hamburg. Whether you’re after designer chic or old-world Bavarian romance, you'll find a Munich hotel that suits with this guide to the top 10 hotels in Munich. Whether you're after traditional Christmas markets or Santa on a surfboard, this guide to the top 10 Christmas holiday destinations will help you book the right hotel for a festive break. Holidays in Germany go beyond expectations of raucous beer halls, snowy Alps and fairytale castles. Take a break in Germany to discover a country that crackles with creative energy, sizzles with diverse cuisine and stirs the soul with ever-changing landscapes. Make the most of your short break in Berlin. No matter how brief your stay in a Berlin hotel, this street-smart itinerary will help you pinpoint the highlights.